The purpose of coffee is to enliven. Real coffee is not just sweet and tasty; it contains caffeine which mimics the action of a neurotransmitter. It has life in it. 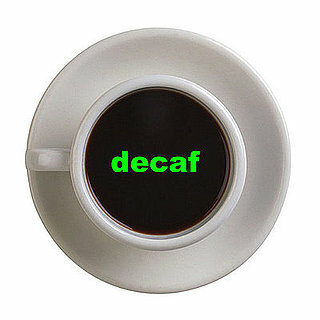 Decaffeinated coffee is a nice drink but doesn’t make the heart beat faster; the key ingredient has been taken out. So what is decaffeinated theological education? It is theological education with the key ingredient, the life taken out. And the key ingredient? Love to God. If the theological educator does not deliberately inspire love to God in the students, his teaching has been decaffeinated. I mean that it must inspire love to God with their minds; in their heart of hearts out of which everything else springs; in worship and then flow over to love for those God loves. Now, just as there are a number of different brands of decaffeinated coffee, so there are varieties of decaffeinated theological education. One brand is EUT – enlightenment university theology, dis-interested, uncommitted theology – an investigation or study of the phenomenon called Christianity and a set of classical texts called scripture, all of which can be done without faith commitment. Another brand with a similar taste is DFAD – pandering to the desires of some young people to get a degree – and if they are Christian young people, it may as well be a theology degree, often in a safer place than a secular university. But here the theological café can do a good job. They may come in for decaffeinated coffee but when they taste the real thing, caffeine and all, they are often changed and go out with deep love for God in their hearts to serve Him with their lives. One more brand of decaffeinated theological education is SFPP – study for practical purposes. There is a form of vocationalism that misses the point. It says “You will never be a good missionary or minister unless you grow spiritually, so we need to help students grow in their faith.” That is not love for God. Love for God is not one of ingredients of a good cake, it is the reason we bake the cake in the first place. The real job, of course, is done not by the café designer but by the barista, the one who makes and serves up the coffee. He or she determines whether the caffeine is present or not. The café provides a pleasant place to drink it. So the most important contribution is not made by the college or seminary, but by the theological barista, the teacher. It is his or her job to see that the caffeine is in the cup, the aim of the love of God in the teaching. Why serve up a nice, sweet, tasty theology with the key ingredient missing? For goodness sake, give them the real thing. Decaffeinated theological education never did make the heart beat faster. This entry was posted on November 1, 2013 at 2:21 pm and is filed under Uncategorized. You can subscribe via RSS 2.0 feed to this post's comments. You can comment below, or link to this permanent URL from your own site. DFAD = Desire For A Degree? A helpful analogy that challenges our practice. The greatest challenge is when students want the decaf, and we seek to deliver the full-bodied approach. Ah, coffee-the blessed beverage; thank you Graham for another stimulating and wonderfully provocative reflection. You and I seem to drink our coffee differently. I enjoy my coffee hot and invigoratingly strong and with a hint of bitterness in my mouth. No milk, no sugar-no sweetness- but with a fully orbed flavour exploding in my mouth. I’ve often thought that our theological teaching really ought to be cultivating and encouraging a love for God-otherwise it certainly isn’t faithful to Biblical teaching. However, surely good theological teaching also ought to be imparting a love for the Bride of Christ-of all ‘flavours’. That is where the bitterness comes in-a bad bitterness seems to be emerging too often with ‘confessional’ approaches where those who diasgree are too often looked on and presented as less than true believers. Good bitterness comes surely when we nurture a love for even those members of the Body whom we fundamentally disagree with delivering a slightly bitter, intensely stimulating and thoroughly engaging commitment to the great confessions of the faith, learning together in dialogue and actually modelling the reconciliation which should be at the heart of our faith and teaching. As the old Puritan said, “Theology is the science of living in the presence of God.” Give me the full-orbed theology anytime! No decaf for me.